...musical treat box ready to be opened...! ..on the technical side if people are interested. My sound is hand built, all boxes hand made. Bass section boxes modified and tuned. More of an old school set up: music/effects - pre amp - amps - speakers. Each sound will have four bass boxes for this session. Each sound comes from more established sounds. Creation Rebel has been helping with Ch.1 for a number of years. Rebel Spirit has been with Iration Steppas a number of years and I am Jah Tubbys crew, originally with Iration since '99. Yes, it was a great session. Leicester is always a music crowd & lots of familiar faces in the place. 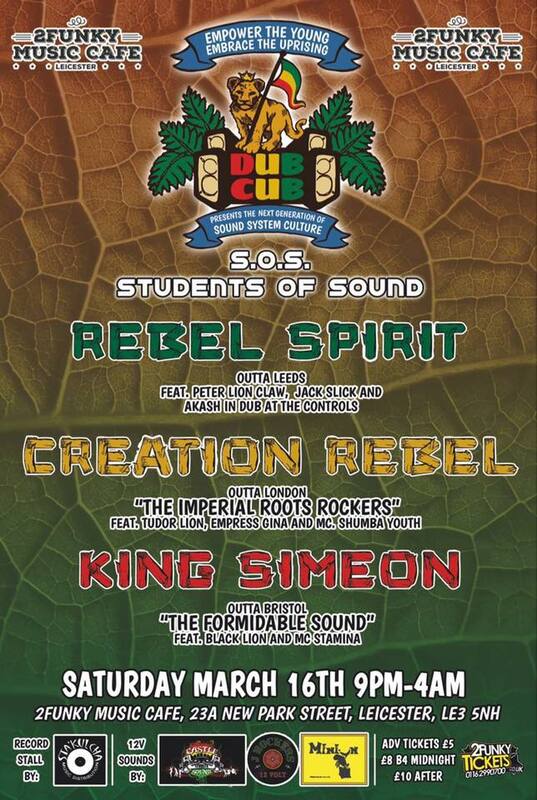 DubCub is still keeping up the works with positive promotion for sound systems.